With 90% of the data in the world today having been created in the last 2 years this, it appears, is the era of data revolution. According to IBM, 2.5 quintillion bytes of data are collected every day. The presence of this data is important for necessary development to effectively take place in any country. The Royal Statistical Society in the United Kingdom in its Data Manifesto puts it like this, “what steam was to the nineteenth century and oil to the twentieth data are to the twenty-first.” However, despite this surge in data production, the data revolution is not evenly spread out in the world with the global south getting the short end of the stick. Due to issues such as lack of capacity, resources and knowledge these countries still have challenges getting timely and accurate data which is needed for them to come up with workable and effective decisions so as to attain their development goals. First, governments in developing countries are not producing enough data to help them assess their challenges and come up with workable solutions. The National Statistical Systems in many countries have limited technical, human and financial resources to help them meet the demand for data. With 46 countries in Africa lacking complete civil registration systems to register births and deaths, there is less than one in five births occurring in a country with a complete birth registration system while 87% of deaths occur in countries without complete death registration systems(UNDP,2016). As it goes, “for people to count, they need to be counted” and therefore this lack of proper registration has locked out many people from public services such as schooling and employment. Even in its early stages, the benefits of the data revolution can already be seen in Africa. The presence of reliable data has enabled several African countries to revise the methods they use to measure their Gross Domestic Product to accurately represent their economies. From this, Nigeria’s GDP nearly doubled from 270 billion to 510 billion between 2013 and 2014 whereas Kenya moved to a lower middle income country from a low income country (UNDP,2016). One of the causes of this growth was that previously some sectors were omitted from the national income accounting because they were in informal areas and lacked the needed data. Still so much more needs to be done especially in Agriculture; a sector which the Local Development Research Institute is currently focusing on. The agricultural sector despite employing about 65% of the African population only contributes approximately 32% of the continents GDP (Depetris et al., 2012). This low productivity in the sector can be attributed to the lack of data to adequately measure progress and the little application of technology and sciences. For example many countries are unable to conduct the World Census of Agricultural Programme (WCAP) which happens every ten years. This is because of the high cost needed processes such as staff recruitment, training and maintenance. Due to this, very few African countries are able to conduct their census. There was: 1 country in 1930, 3 in 1950, 17 in 1960, 23 in 1970, 17 in 1980 ,17 in 1990 and 25 in 2000 (FAO, 2013). This is unfortunate because agriculture plays an important role in the achievement of SDGs with goals such as the attainment of food security and eradication of poverty. It should be noted that objectively, the WCAP stats for countries across the world seem low and inconsistent. However while this is not the case in most African countries, most European countries regardless of the census already have administrative and technological measures set in place to constantly keep track of their agricultural sectors. The European Union for example has used remote sensors from as early as 1988 and this helps them forecast their crop yields amongst many other things. When it comes to expenses, globally the world needs about one billion USD a year to monitor progress of SDGs. This is without doubt a lot of money more so for developing countries. Despite its expensive nature, the pros outweigh the cons when it comes to data. Not only can this data be used to achieve SDGs but also hold governments accountable as they have to show data to support their policies. This transparency and accountability of governments according to the Global Partnership for Sustainable Development Data can save developing countries up to one trillion USD which they lose every year to corruption. How then do we as Africa get there? In 2015, a document called Africa Data Consensus was introduced with the purpose of bringing together everyone in the process of moving developing countries towards a better data ecosystem in Africa. From this document, data communities were created. Data communities are a group of people with shared interest in data across the value chain: production, analysis, management, dissemination, use and storage. Kenya held its own Data Forum in 2015 to unfold the data revolution in Kenya. In the forum, data communities were created to share data and work together to achieve Kenya’s SDGs using collaborative means of attaining data. Each sector (education, agriculture, health etc.) now has its own data community. In the past data from non-state actors was seen to be questionable and lacking in quality. However, in the recent years with the various transformations taking place in the African data ecosystems, data communities now have a big role to play in the creation of data. 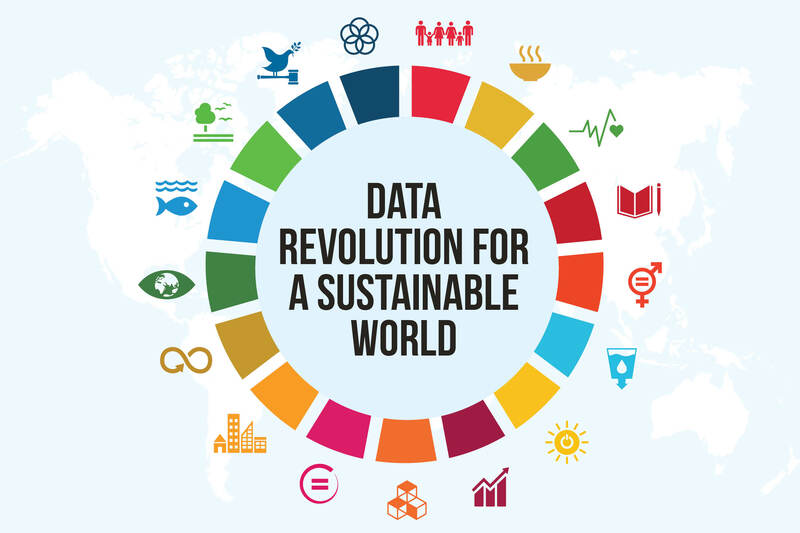 With National statistical systems overwhelmed with producing data for not only global goals but also national ones, they need to make use of data communities such as the private sector, civil society, academia and citizen based data communities. Still the National Statistical systems need to constantly remain at the centre of the ecosystem harmonizing and integrating the data from all these sources. Finally, in the final stage of policy formation using available data, there needs to be full transparency. (Jerven, 2013) presents a case study from Nigeria and Malawi on agriculture input subsidies, where he finds out that information that doesn’t suit the aim of political leaders is either tampered with or that choices are made between conflicting information on political grounds. As a result, National Governments not only misreport to the foreign donors, but are themselves misled by their frontline data producers (Carletto.G, 2015). To ensure that National Statistical Systems are autotomized and not politicized, they need to have full human, technical and financial support. Prev:Data Interoperability. The Next Frontier in the Data Revolution.